With the launch of the Magic Leap One looming over summer's horizon, on Wednesday, Magic Leap released an essential component that will differentiate it from current augmented reality platforms. Available in Lumin SDK 0.16.0, the Lumin Runtime is the environment within the Lumin OS that enables multiple applications to run simultaneously. 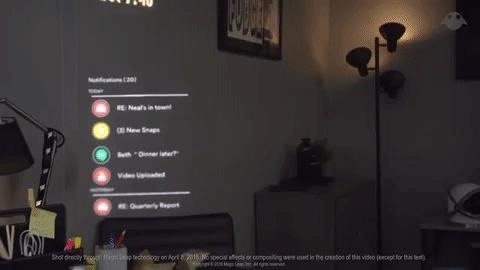 This is the scene that Magic Leap previously painted two years ago in its "Waking Up with Mixed Reality" demo. Along with the preview arrives the Lumin Runtime SDK, which includes APIs, templates, and simulator support for creating apps that can play in the space, and the Lumin Runtime Editor for assembling scenes and assets for those apps. 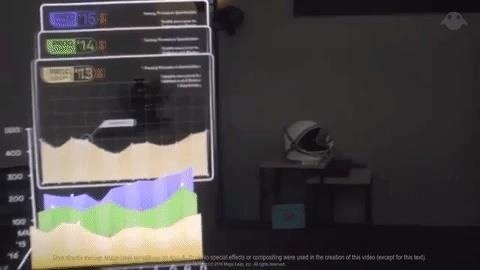 While the Lumin Runtime is compatible with the ML Remote simulator, several of the Magic Leap One's unique abilities, such as world ray casting and eye tracking, are not supported. In addition, the new version of the Lumin SDK brings along several improvements and bug fixes for ML Remote and other developer tools. Nevertheless, since it's an early release, there are still a host of known issues to navigate. Both SDKs are available now via the Magic Leap Package Manager. At this point, all of the information made available from Magic Leap, from Twitch livestreams, to late night tweetstorms, to retail partnerships, and FCC certifications, are like the heavy footsteps of an unseen predator in a horror film. We still don't know exactly when the device itself will arrive, but we know it's getting closer, and the anticipation is becoming palpable. To borrow from The Rocky Horror Picture Show, Magic Leap seems to like watching us all "shiver with antici...pation."